It is now Day 7 of DL and NVIDIA’s Two Weeks of Holiday Tegra. 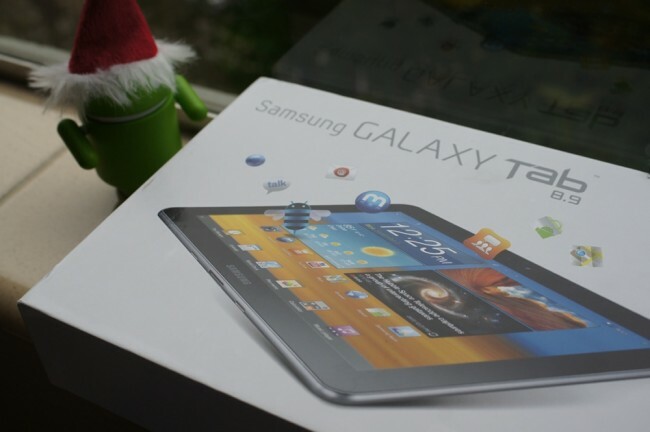 Everyone has just 4 days left to win themselves some tegra-powered tablet goodness. So far we have given away 6 tablets and still have 4 more to go. So let’s keep it going with the Samsung Galaxy Tab 8.9 WiFi. The Galaxy Tab 8.9 has an extremely thin housing which is powered by NVIDIA’s Tegra 2 dual-core processor. Viewing documents and videos are a real pleasure with the tab’s 8.9″ HD WXGA display coupled with both, front and back cameras. Have at it. Br_d who can’t get enough of Cartman’s version of O’ Holy Night. 1 (one) Samsung Galaxy Tab 8.9 WiFi. 1. In the comments, tell us what your favorite Christmas song is. 2. Follow @droid_life and @NVIDIATegra on Twitter. At 5PM Pacific, we will randomly chose a winner from the comments. This post will be updated, comments closed, and the winner notified. Prizes will be shipped at the end of the week.